Hey friends, How was your weekend? David and i had a good one. Saturday, we had the pleasure of having dinner with Friends Chiara Ferragni & Shea Cheyenne & all their friends who are part of their road trip coast to coast across America. It was really fun seeing them. 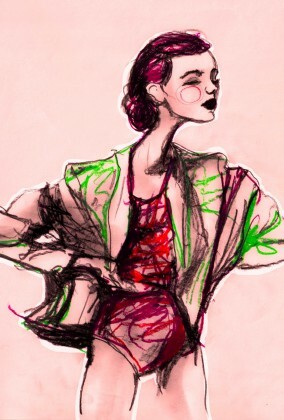 So do you remember about a month back i told you my hard drive containing all my drawings crashed. Well, i sent it off to data recovery and just got it back, so i have been searching night and day through the hard drive to try and find some of my favorite drawings. 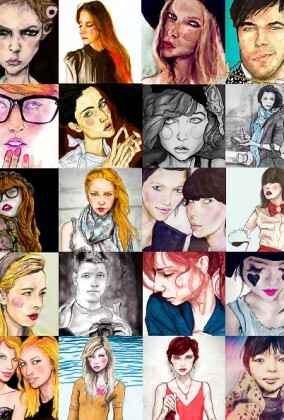 I’m happy to say i’ve been able to recover almost all of my old drawings. The only bad thing is there are about 40-50 drawings that are unrecoverable, so i’m going to have to spend the next few weeks going through stacks of drawing and re-scaning the missing artwork files. I will keep you posted on that. The good news is going through all my files caused me to rediscover some drawings i did 3-4 years ago that i forgot about. 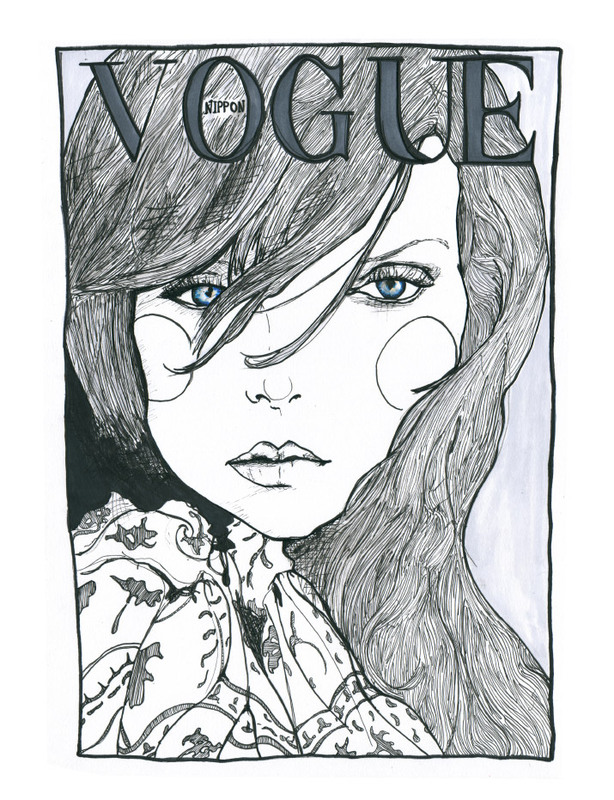 The Post today is an illustration i did of model Heather Marks on the cover of Vogue Nippon. I like the cool blue mood of it. 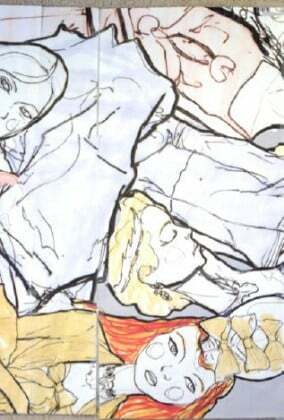 I think I did it with micro and prisma color pens on bristol paper.